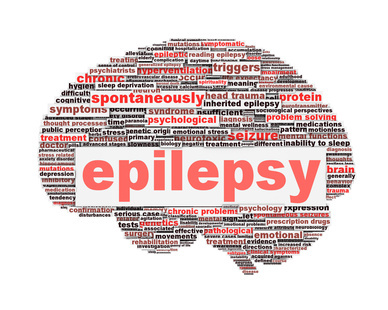 Epilepsy is a chronic neurological disorder that is characterized primarily by seizures. Approximately 50 million people worldwide have been diagnosed with epilepsy, making it a more common disease than most people think. While some people with epilepsy are able to control their disease and the resulting seizures with medication, not everyone is so fortunate. If you have epilepsy that interferes with your daily life, then you may be able to qualify for Social Security Disability for epilepsy. There are two ways to qualify for disability benefits with an Epilepsy diagnosis. First, you may qualify under the Epilepsy listing that the Social Security Administration has created for both convulsive and non-convulsive Epilepsy. However, if you do not meet the criteria under the Epilepsy listing, you may be able to qualify under the medical-vocational allowance. Because Epilepsy is characterized mostly by the seizures that come along with the disease, the Social Security Administration looks to the frequency and severity of the seizures to determine whether to grant disability benefits. – nighttime episodes that result in symptoms that interfere with your daytime activities. If you do not qualify under this official Epilepsy listing, there may still be an option to qualify under what is called the medical-vocational allowance. This is what can be thought of as the “catch all” when it comes to disability listings. If an applicant does not fit into any of the specific listings created by the Social Security Administration, but still cannot hold gainful employment because of a disability or a combination of disabilities, that applicant can still receive benefits. Keep in mind that, if you have a high school education and younger than 50, the Social Security Administration will assume you can perform at least sedentary work. This is a presumption than can be rebutted however. If you are suffering from epilepsy that cannot be adequately controlled by medication and impacts your daily life, then you may qualify for disability benefits based on your condition. To find out more, you should contact an experienced Indiana disability attorney to get a free initial consultation and discuss the facts of your case more thoroughly. Click here, or call 317-280-8863, to schedule a free initial consultation today.